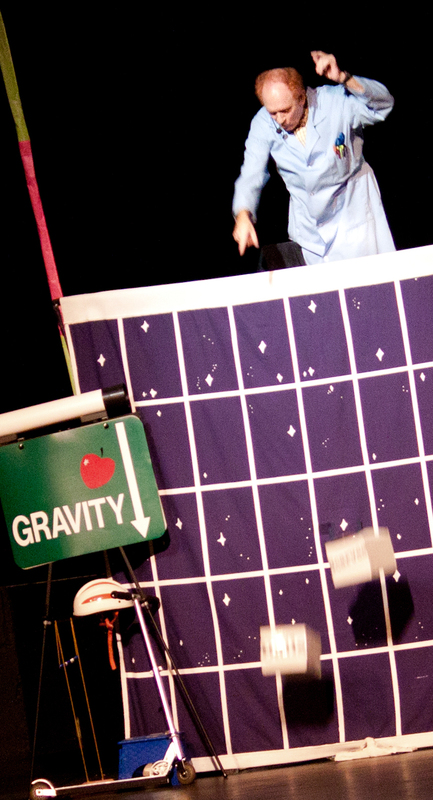 Using theatrical, circus and comedy skills Professor Smart teaches basic physics concepts to students in ways even the teachers and parents will understand. Your kids will enjoy 60 minutes of science fun. 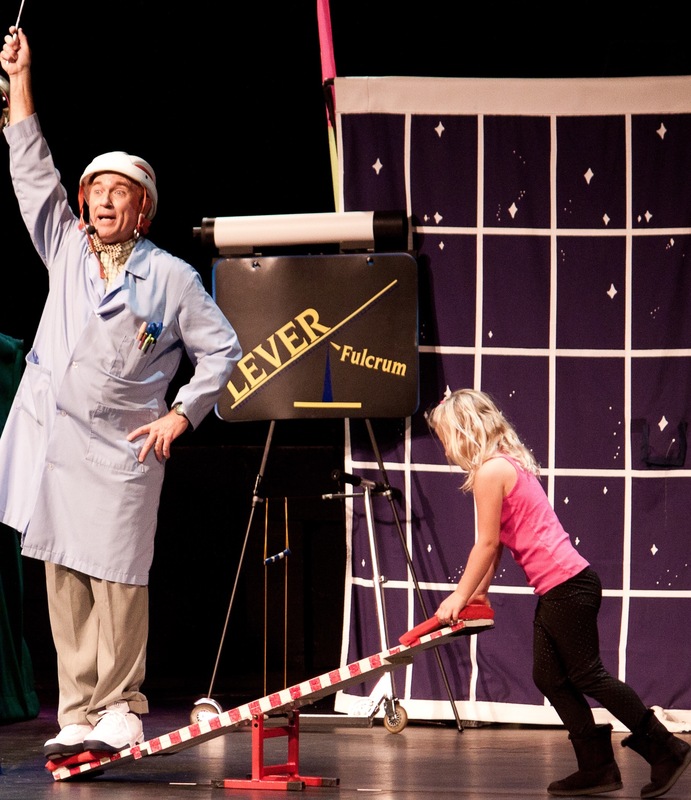 This “Fun with Physics Show” is fully produced with a colorful set, sound and light cues. This performance has drawn rave reviews from performing arts centers, teachers and kids across the country. Professor Smart covers science standards that are coupled with solid online study materials. It is a worthwhile learning experience. This show is for KIDS! 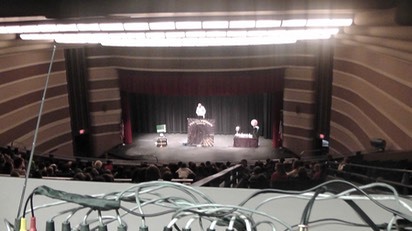 Professor Smart’s Science Shows are primarily built for kids in K-7th grades but is just as entertaining for adults. Even the youngest kids will be engaged by the juggling, the comedic physicality of the performer, and the tempo of the show. For grades 6, 7, and 8 the show is made even more challenging by increasing the vocabulary and asking questions of the students during the show. Professor Smart is accurate, funny, lively, uses many volunteers and can play for a wide variety of situations.